Because I have an active and obsessive eye‚ I’m interested in finding as much contentment as I possibly can. In my work I create problems and then solve them in order to feel peace. 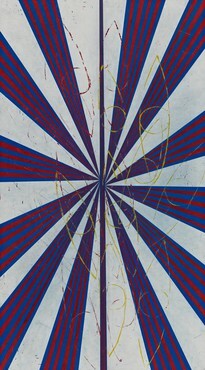 Mark Grotjahn combines gesture and geometry with abstraction and figuration in visually dynamic paintings, sculptures, and works on paper. 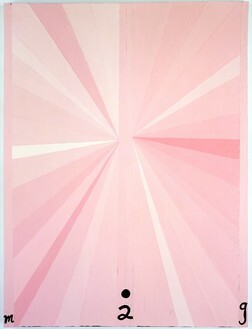 Each of his series reflects a range of art-historical influences and unfolds in almost obsessive permutations. 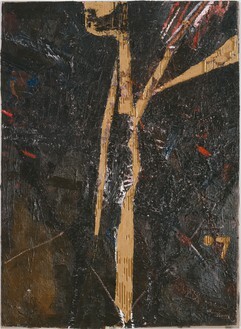 Grotjahn was born in Pasadena, California. 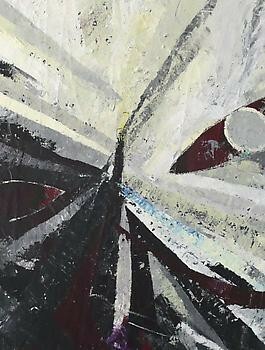 He received a BFA from the University of Colorado at Boulder and an MFA from the University of California at Berkeley. 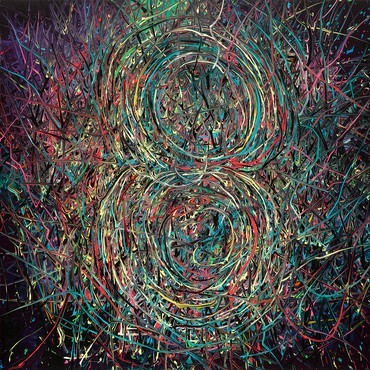 While studying in California, he began his first major project, Sign Exchange (1993–98), in which he painted replicas of signs that he saw in stores around Los Angeles, then had the store owners display his hand-painted versions in place of the originals. 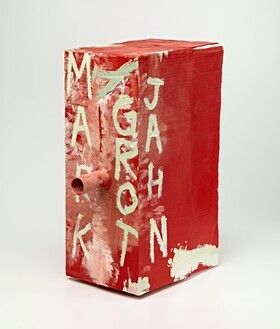 In 1995 Grotjahn was an artist-in-residence at the Skowhegan School of Painting and Sculpture in Madison, Maine. 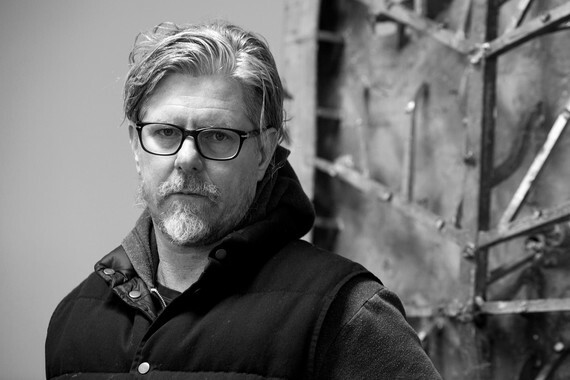 He moved to Los Angeles a year later and, with his classmate Brent Petersen, opened the short-lived gallery Room 702. 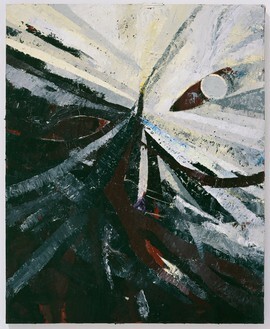 In 2001 Grotjahn began the Butterfly series. 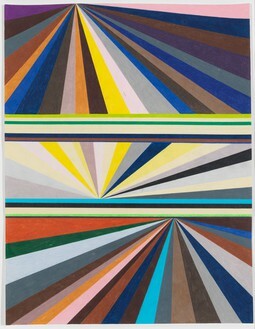 These geometric paintings and drawings explore the constructs of dual and multi-point perspective and take on various forms as Grotjahn alters their composition and color. 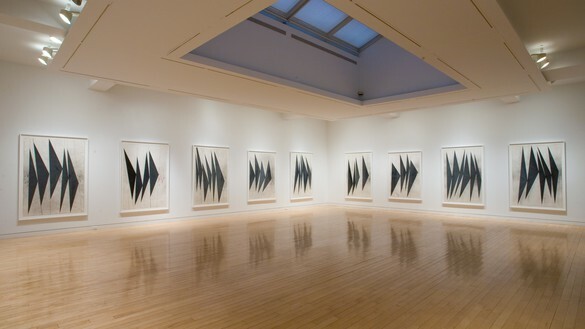 A selection of multicolored and monochromatic Butterfly works on paper were exhibited in 2005 at the Hammer Museum, Los Angeles. In 2018 the Los Angeles County Museum of Art presented 50 Kitchens (2013–18), from the same series, a work with more than fifty parts that all evolved from a single composition and incorporate residual traces of earlier drawings. 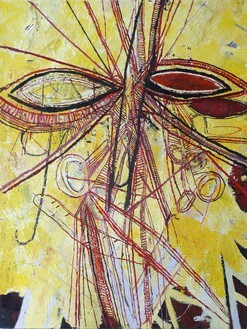 Continuing his investigations of symmetry, perspective, and form, Grotjahn began the Face paintings in 2003. These expressive, anthropomorphic works of cardboard on canvas often feature sections cut away to reveal painted canvas beneath. 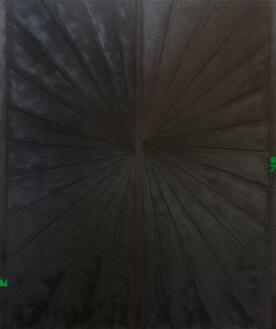 As the series progresses, the faces become less apparent and more abstract, their curved lines creating void-like apertures. 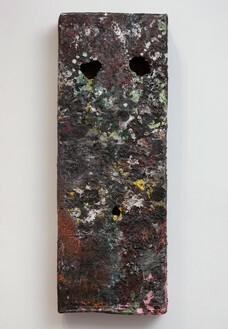 Alongside his painting practice, Grotjahn has been making masks since 2000, painting cardboard boxes lying around his studio and affixing paper tubes between cut-out “eyes.” The Masks (c. 2000– ), although originally approached as a less formal project, came to assert themselves as a new armature for his painting. 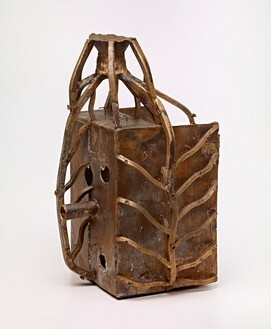 In 2010 Grotjahn started casting the Masks in bronze. 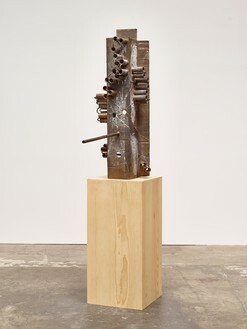 In many of the sculptures, he incorporated and retained remnants of the bronze casting process, such as the sprues and runners, into his final work. As he does with his paintings, Grotjahn often boldly signs the Masks, allowing his signature to come forward as a compositional element. 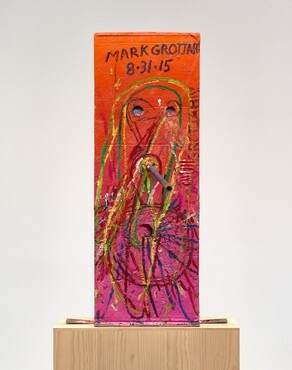 In 2014 the Nasher Sculpture Center in Dallas presented the first museum exhibition of Grotjahn’s sculpture, including small-scale and larger freestanding works. In 2016 Grotjahn began the Capri works (2016– ), seeking to break away from the Face paintings in favor of a more experimental, spontaneous working process. The first Capri works, New Capri, were modestly scaled paintings created for a private presentation at Casa Malaparte in Capri, Italy. 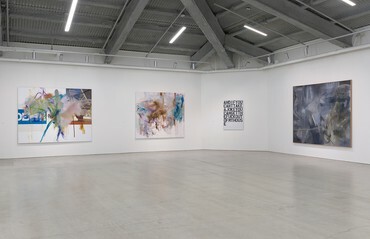 Following this exhibition, Grotjahn created the larger Capri paintings (2016– ), followed by the Free Capri series (2018– ), in which he introduced the technique of scraping out areas of thick paint, then placing the slug-like masses in rows and grids elsewhere on the canvas. As the Butterflies, Faces, Masks, and Capri series continue to expand, Grotjahn uses Instagram to further experiment with repetition and juxtaposition, employing the grid format to freely arrange images in different combinations, in a form of visual tic-tac-toe. 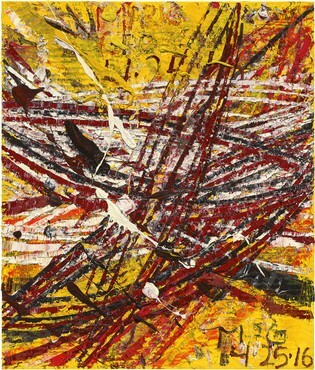 Throughout his work, by finding variations within his immediately identifiable style, Grotjahn reveals the complexities of authorial gesture. Gagosian is pleased to participate in FOG Design+Art 2019, with modern and contemporary artworks by Joe Bradley, Edmund de Waal, Helen Frankenthaler, Katharina Grosse, Mark Grotjahn, Damien Hirst, Marc Newson, Giuseppe Penone, Nancy Rubins, Ed Ruscha, Richard Serra, Adriana Varejão, Mary Weatherford, Rachel Whiteread, Jonas Wood, Richard Wright, and others. 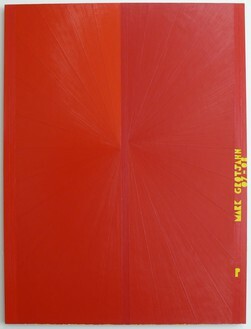 To receive a PDF with detailed information on the works, please contact the gallery at inquire@gagosian.com. To attend the fair, purchase tickets at fogfair.com. To preview our booth, go to artsy.net. Gagosian is pleased to participate in Art Basel Miami Beach 2018 with modern and contemporary artworks by Georg Baselitz, Jean-Michel Basquiat, Joe Bradley, Glenn Brown, John Chamberlain, Dan Colen, John Currin, Urs Fischer, Katharina Grosse, Mark Grotjahn, Andreas Gursky, Keith Haring, Damien Hirst, Howard Hodgkin, Jeff Koons, Roy Lichtenstein, Vera Lutter, Man Ray, Peter Marino, Takashi Murakami, Pablo Picasso, Richard Prince, Sterling Ruby, Ed Ruscha, Jenny Saville, Rudolf Stingel, Tatiana Trouvé, Cy Twombly, Andy Warhol, Tom Wesselmann, and Jonas Wood, among others. 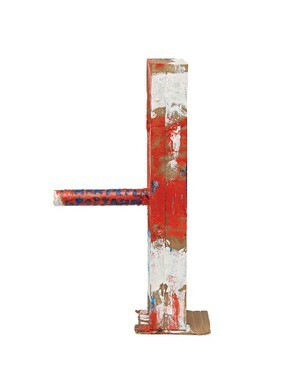 To receive a PDF with detailed information on the works, please contact the gallery at inquire@gagosian.com. 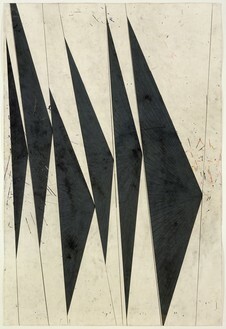 To attend the fair, purchase tickets at artbasel.com. 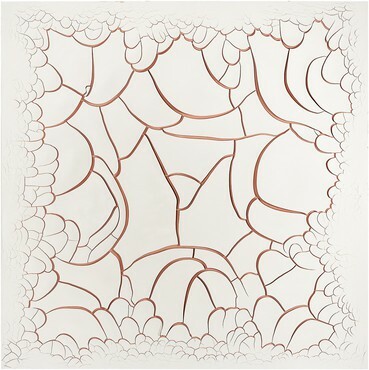 Gagosian is pleased to participate in Art Basel Hong Kong. 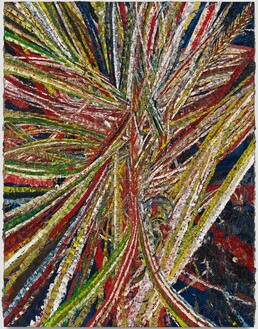 To view highlights from the booth in advance of the fair visit www.artsy.com. 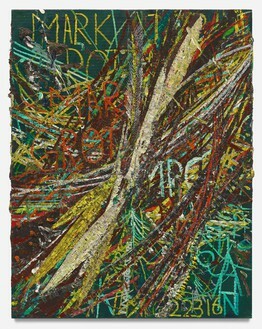 Our presentation will include works by Georg Baselitz, Jean-Michel Basquiat, Joe Bradley, Cecily Brown, Glenn Brown, Alexander Calder, John Currin, Willem de Kooning, Edmund De Waal, Jean Dubuffet, Urs Fischer, Lucio Fontana, Walton Ford, Katharina Grosse, Mark Grotjahn, Andreas Gursky, Damien Hirst, Jia Aili, Anish Kapoor, Yves Klein, Karen Kneffel, Jeff Koons, Harmony Korine, Roy Lichtenstein, Takashi Murakami, Takashi Murakami & Virgil Abloh, Albert Oehlen, Nam June Paik, Francis Picabia, Pablo Picasso, Sterling Ruby, Ed Ruscha, Jenny Saville, Richard Serra, Rudolf Stingel, Mark Tansey, Cy Twombly, Andy Warhol, Jonas Wood, Christopher Wool, and Zeng Fanzhi. 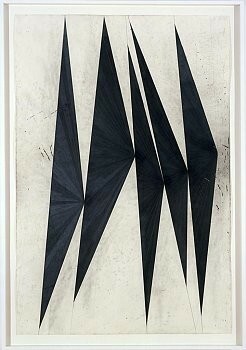 Tickets are available at www.artbasel.com. 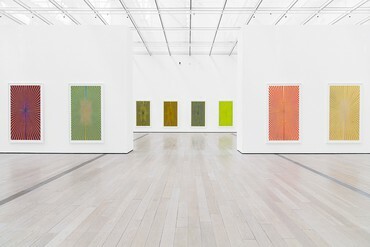 Mark Grotjahn has made his Butterfly compositions since 2002; the latest of these is 50 Kitchens (2013–18), which is being exhibited at LACMA for the first time. Conceived as one work, 50 Kitchens takes its inspiration from a single composition that Grotjahn made to meet the dimensional specifications of a wall in his kitchen. 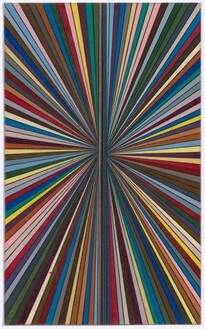 The more than fifty subsequent chromatic drawings explore pairs of radiating colors and together create a prismatic display. Unpacking: The Marciano Collection is the debut presentation of the collection’s holdings organized by Philipp Kaiser. The title and theme of the show are derived from Walter Benjamin’s essay “Unpacking My Library,” in which he discusses the chaotic potentiality inherent in unpacking and recontextualizing one’s collection. 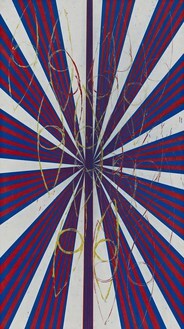 Work by Mark Grotjahn, Thomas Houseago, Alex Israel, Takashi Murakami, Albert Oehlen, Sterling Ruby, Cindy Sherman, Franz West, Jonas Wood, and Christopher Wool is included. © 2019 Gagosian. All rights reserved.